Naldo has signed for FC Schalke 04 on a free transfer from VfL Wolfsburg. 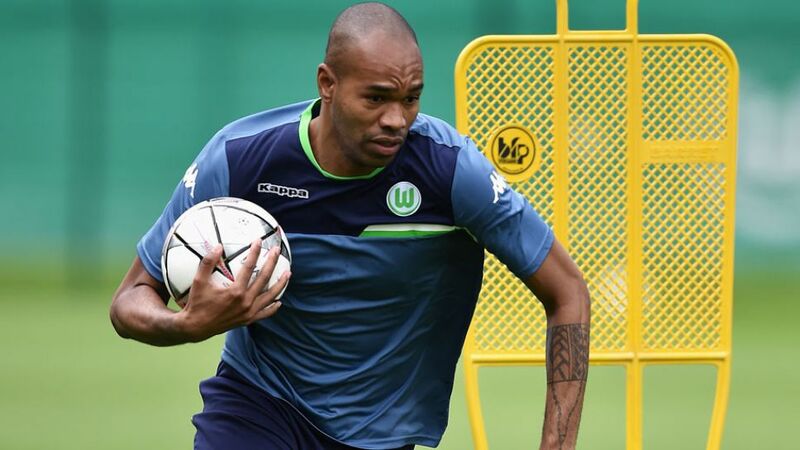 FC Schalke 04 have snapped up experienced Bundesliga defender Naldo on a free transfer from VfL Wolfsburg. The 33-year-old Brazilian centre-back has signed a two-year contract with the Royal Blues just 24 hours after making his final Wolfsburg appearance in their 3-1 win over VfB Stuttgart. "I had a great time at Wolfsburg with a lot of success. I will always carry this team and city in my heart. Everyone at VfL knows how much the club means to me," said Naldo, who acknowledged Schalke’s freshly-appointed sporting director Christian Heidel had convinced him to make the move to Gelsenkirchen. "Christian Heidel so impressed me in talks that I'm now really looking forward to the challenge with Schalke and the chance to celebrate some great successes with a very good team."